Fiji cruises may take you around the Fiji islands, but do they take you to the best beaches in the archipelago? Because Fiji is surrounded by coral, there are very few beaches used for surfing or water sports. However, if it’s remote lagoons and palm trees you’re after, then you’ll be in for a treat, because it’s a Fiji specialty. Here are some of our favourite Fiji beaches. 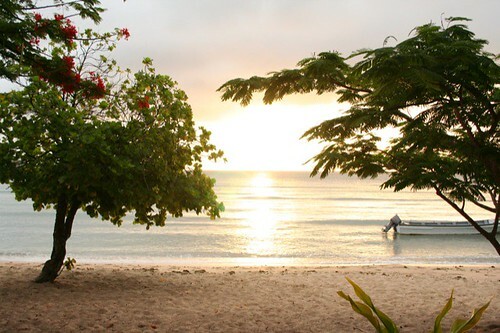 The Natadola Beach is an exception on Viti Levu. The main Fiji island isn’t really known for its beaches, but Natadola is the exception. A long stretch of white sand and coconut palm trees swaying in the wind are waiting for you at this remote location. It used to be quiet, but given its popularity a few resorts have opened (or are opening soon) around this once-remote beach. The beaches on the Yasawa chain, especially on the northernmost island called, fittingly, Yasawa, are among the best in the entire archipelago. One of the beaches on Yasawa Island actually has waves, which is rare in Fiji. You’ll also find a long stretch of white sand at the north of the island, between two villages. For backpackers and seekers of cheap travel, the beaches along Nacula Island (in the Yasawa chain) are accessible through the cheap Oarsmans Bay Lodge. A long strip of very white, very fine sand, a lagoon that’s deep even at low tide, and beautiful views of the glorious Pacific? What more can you ask? If you’ve ever dreamed about having an isolated, deserted beach all for yourself for a day, Turtle Island is your spot. Set in the Yasawa chain, this small island features privately-owned beaches that you can reserve for an afternoon or a day. Without the threat of interruptions, you can lose the bathing suit and work on that all-over tan. Resorts will provide you with transport and a picnic for your escapade. If you prefer socializing with fellow travellers and enjoy beach bars, the Malolo Island Fiji resort is your spot. The sand is clean and the waters are deep enough even for snorkeling at most tides, and you can enjoy a nice drink after an afternoon of activities in the turquoise waters. No, this one isn’t in Florida. The Long Beach of Fiji goes for a few kilometers on the north shore of Kadavu Island, just to the south of Viti Levu. Walk for hours on the long beach and enjoy sun, surf and sand. You can stay at one of the two nearby resorts or wait for the new resort, set directly on Long Beach, to open. Because Fiji has over 300 islands, this list certainly isn’t exhaustive. But we hope that it gives you an idea of the many possibilities that the Fiji islands hold for beach lovers. Whether you like natural and remote or developed and busy (like at many Malaysia hotels), Fiji has a beach just for you.